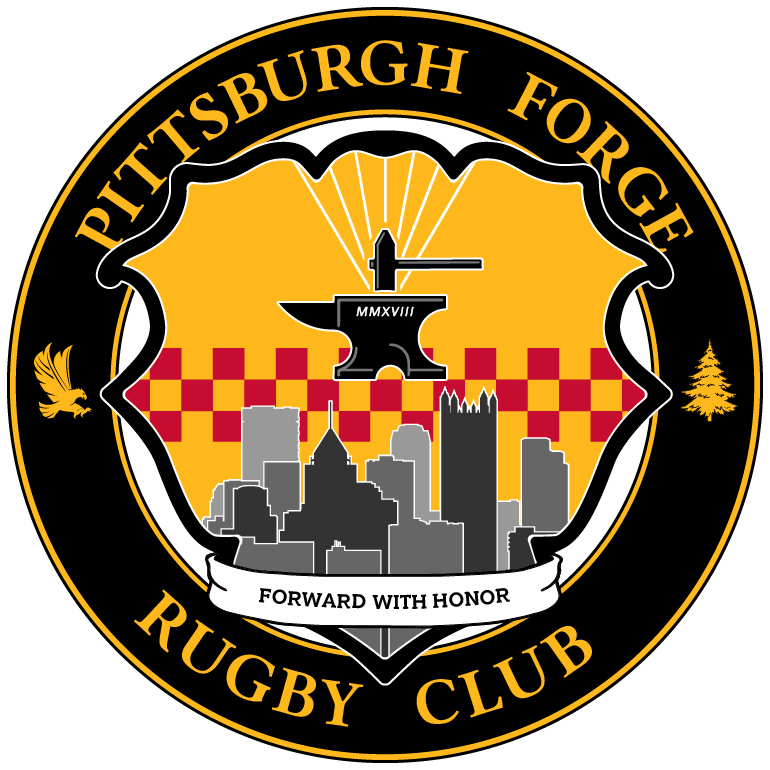 WHEELING, WV – This past weekend, the Pittsburgh Forge Men traveled to Wheeling Jesuit University with two sides to take on the Division 1A program in two preseason tests. The games were scheduled for 4:00 PM and 6:00 PM and attracted a large crowd as it was Wheeling Jesuit’s freshmen move in day. The weather was hot and muggy under sunny skies for all of the Division 2 match and would that would eventually turn to rain towards the end of the Division 3 match. From the kick off, Wheeling Jesuit was able to quickly gain possession and drive deep into the Forge defensive zone. After a few quick phases, a great hit from fullback Neil Reynolds (UPJ) was able to bring spark the Forge defense, a notion that would last throughout the day. After holding out the Cardinals for several minutes, they were eventually able to open the scoring and take a 7 – 0 lead after ten minutes. The Forge would answer back quickly, however, challenging the Cardinals defense with several drives deep into their defensive zone. Eventually, center Clark Hoopes was able to break through the line and touch down a try. 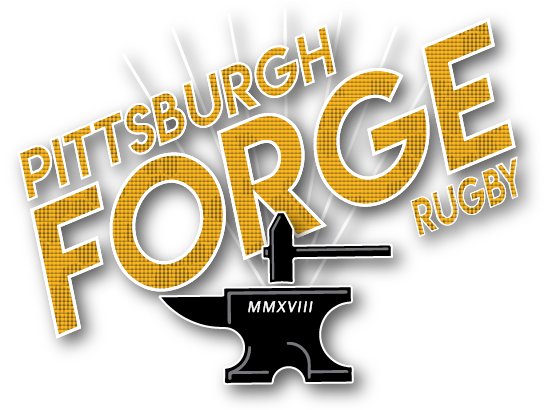 With the conversion by Andrew Knuttel (PITT), the Forge Men tied the game at the twenty minute mark. The rest of the half was marked with several missed scoring opportunities from both sides and stout defense. The Cardinals were able to dot down a converted try before the half and take a 14 – 7 lead into the break. After the half, both sides began making adjustments to their lineups. The Cardinals were able to take advantage of two scoring opportunities throughout the second half and take a 28 – 7 lead. The Forge Men always seemed to be knocking at the door, but missed several scoring opportunities throughout the second half. Finally, with just a few minutes remaining in the game, Sam Angelo (SRU/ IUP) was able to power over the try line and place down his first try as a Forge player. With little time remaining, the Forge coaches opted to forego the conversion kick as they knew their club needed more tries. After the restart, the Forge was able to grab possession again and spring flanker Tony Cardamone (SRU) for a try to close out the game. Although the Forge came up short, 28 – 17, the coaching staff was extremely pleased at the resolve the men showed; never giving up and ending the game on a very positive note. This upcoming week, the Forge Men will be opening their league inaugural season at home with the Division 2 side hosting the Syracuse Chargers from the Empire GR’s Upstate Division. Last season, the Chargers were 3 – 5 which was good enough for second place in the league. Kickoff for the Division 2 match is scheduled for 2:00 PM EST. Conversions – Andrew Knuttel (1/1); two conversions were elected to not be taken. After a few minutes of back and forth rugby, the Forge were able to get on the board with a great run and try from powerful prop Frank Cacciotti (Geneva). 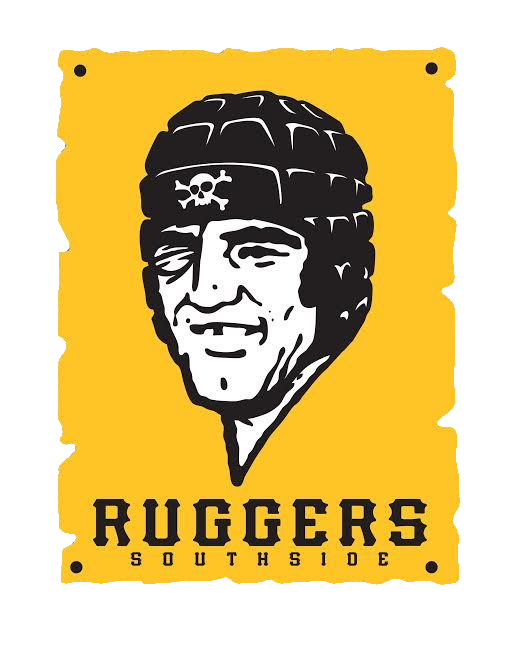 The conversion was nailed by Rousseau Kluever (PITT) and the Forge D3 side enjoyed an early lead. After a few additional minutes of back and forth rugby and some great kicking from Kluever, the Forge men were granted a second consecutive lineout near the Cardinal goal line. 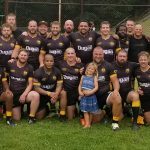 After a lineout win and maul, lock Bill Marnell (Cal U) was able to pull the ball from the pack and touch down his first try as a member of the Forge. Kleuver again nailed the conversation and the Forge extended their lead to 14 – 0 with ten minutes remaining in the half. Defensive miscommunication allowed the Cardinals to place down two quick tries and climb back into the game 14 – 12 at the half. The Forge would shake off the mistakes, get re-organized and start the second half with some fresh troops from the bench. After the restart, the Cardinals would take the lead and place down a converted try after several back and forth phases between the two clubs. The Forge defense was led by a young Forge club member, Brandon Fritzius from California University of Pennsylvania. Throughout the second half, Fritzius would lead by example with several punishing tackles and a nice hard run against a frustrated Cardinal defense. This would create momentum for the Forge and eventually led to Tony Wilson (Woodland Hills) making a nice effort to break tackles and place down his first try as a member of the Forge. After yet another conversion from Kluever, the Forge would have the lead, 21 – 19, once again. The Cardinals would not quit, however. With a seemingly endless supply of players from the bench, the Cardinals would score a try to take the lead back even after a nice play by Brett Albrecht to prevent the score on the previous play. This try would go unconverted and give the Cardinals only a three point lead with time winding down, 24 – 21. The Forge Men would not quit either, as Clark Hoopes would come in off the bench to make a brilliant play to earn the Forge back the lead. He would kick the ball past the Cardinal defensive line and then field his own kick for a great looking try, his second of the day, one in each game. Again, Kleuver was able to convert and the Forge would have a four point lead with just a few minutes to go. 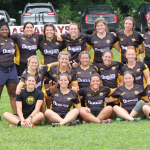 The Cardinals, desperate to get two wins in front of their home crowd, would close out the scoring with a converted try to take the lead and the game with nearly no time remaining. The final score read Wheeling Jesuit 31 – Forge D3 28 in what ended up being a wildly entertaining game.  This week, the Forge Division 3 side will host the Greensburg Maulers who were 1 – 5 in the Midwest Division 3 East – Southern league. 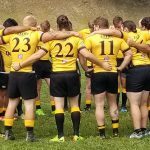 Kickoff for the Division 3 match is scheduled for 12:00 PM EST.